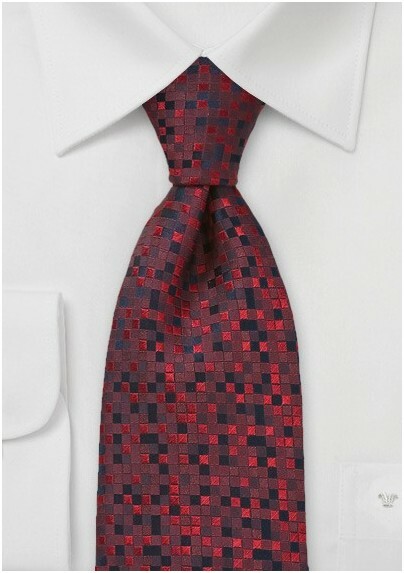 Modernize your conventional look with this eclectically designed small square patterned tie in tonal blacks and reds. 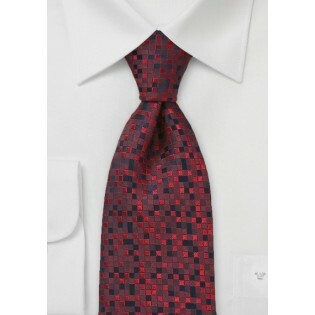 This amazingly modern tie is a great way to add character and pizazz to your sports coats and suits. For a refined and elegant outfit, pair this tie with a white cotton button down, double breasted suit in black wool and black lace up wingtips. This tie also dresses up a blazer and jeans quite nicely. Designed by Chevalier and made from a supple, high quality silk.